The privacy we need and seek is here for all humanity - from Iceland - the land of fire and ice. Can Iceland become the 'Switzerland of data'? Amid government snooping, tiny Nordic nation hopes to brand itself as a safe haven for data privacy around the globe. Reykjanesbaer, this former NATO airbase looked like nothing more than a huge warehouse from the outside. But the barbed-wire fence surrounding it and surveillance cameras atop its gates betrayed its importance. 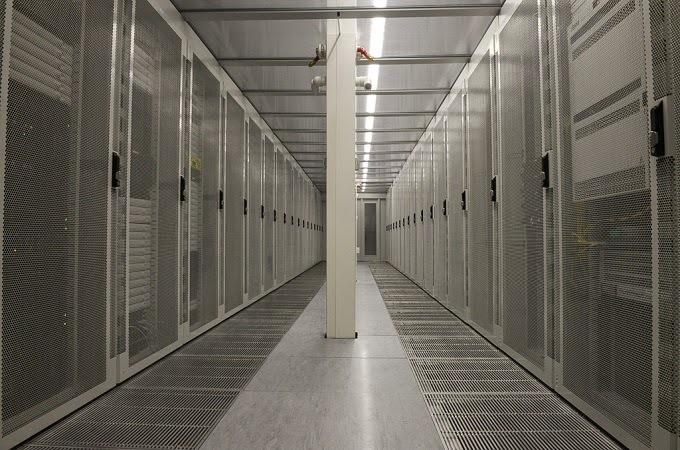 This facility, which began operating in February 2012, is one of several data centres in Iceland. It's run by Verne Global, a company that allows its customers to store data on servers here. Tate Cantrell, the company's chief technical officer, explained why Verne Global favoured this tiny Nordic nation of all places. "In Iceland, you've got this ideal situation: energy, excellent connectivity for data, and a constant cool climate. So Iceland was an obvious choice." Iceland's abundant renewable energy from geothermal and hydroelectric plants means the costs of running these data centres are low. And the Gulf Stream current keeps the temperature in Iceland more or less stable throughout the year, avoiding the need to provide cooling for the servers and computers. Data centres based here have another advantage, too: Iceland is in the initial stage of implementing the most progressive data-privacy laws in the world, a major selling point especially after whistleblower Edward Snowden's revelations regarding widespread surveillance by the United States' National Security Agency (NSA). A recent paper published by Verne Global stated that Iceland was "uniquely positioned as a data privacy haven" because of the new regulations. The International Modern Media Institute (IMMI), a non-profit organisation, has played an instrumental role in designing and promoting the legal framework for Iceland's new data privacy laws. Following the country's 2010 financial crisis, mass protests broke out against the nepotism, corruption and lack of transparency exposed by the collapse. A group of Icelandic activists began working on an initiative to create the world's strongest media and free speech protection laws, as well as a state-of-the-art privacy law. Birgitta Jónsdóttir is IMMI's spokeswoman and now represents the Pirate Party in the Icelandic parliament. She met Al Jazeera at her office in Reykjavik and explained that one of IMMI's goals is "to allow people working on human rights or investigative journalists, as well as people who want to host data on a massive scale, to be free from worrying about privacy issues". She added: "Iceland should become for information what Switzerland is for money." In 2010, the IMMI, then known as the Icelandic Modern Media Initiative, proposed a resolution to change Icelandic law to ensure data privacy and freedom of speech. The proposal includes protection for whistleblowers and journalists' sources, as well as an "ultra-modern Freedom of Information Act" based on elements from existing laws in Estonia, the United Kingdom, and Norway. The data centres would benefit from a clause in the law that ensures the protection of intermediaries such as internet service providers and telecommunications carriers.